The Amsco Vista window is the entry level vinyl window that will be inexpensive to buy, but really won't offer the sort of long term value that most consumers should be looking for. (If you are flipping house or putting windows in a rental property, these may be an okay option.) In all honesty, the Amsco Artisan vinyl window is really the only of the three vinyl window offerings that I would suggest purchasing. Standard features include a frame width	of 2.62", 7/8" insulated glass unit, a fusion welded mainframe, and nylon rollers (for the movable window styles). Similar to the Amsco Studio window, the Vista model is available as a single hung, horizontal slider, picture window, arch top and round top. The window comes in white, taupe or almond on both the interior or the exterior. Consumers can expect Amsco Vista replacement window prices to run $15 to $25 per square foot for the window itself. Comparable windows include American Craftsman 50 window and entry level Window World pricing. The single hung Amsco Vista will deliver a U-factor that ranges from .50 to .22. U Factor is a measure of the amount of heat loss. The Vista model will deliver an SHGC that ranges from .66 to .18. SHGC is a measure of how much heat is allowed through a window. The single hung Studo will deliver a VT that ranges anywhere from .66 to .26. 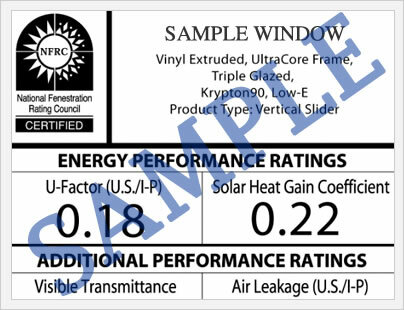 The actual performance numbers of the windows you purchase will depend on a number of factors, including the glass package you opt for, as well as the additional upgrades and features that you select. Your local Amsco dealer should be able to provide you with the approximate performance numbers based on your combination of options. The Amsco Vista comes with a limited lifetime warranty that applies to the original purchaser for those products bought on and after July, 2009. 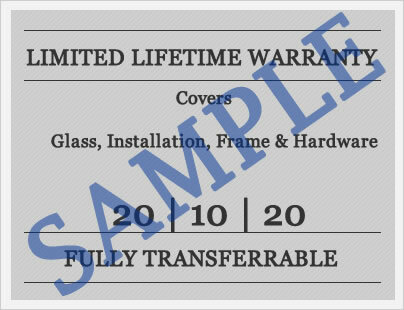 The warranty covers any manufacturing or workmanship defects on all vinyl parts of the window. The warranty is (somewhat) transferable, but the subsequent owner is covered for only 5 years from the date of purchase. This allows the company to say they offer a transferrable warranty, without really offering much. The warranty on Amsco windows is notoriously weak, so consumers should really ask the local company that they buy the windows from whether the company offers any sort of labor warranty on the windows. Do you have Amsco Vista windows reviews to share with the online community? If so, we'd love to hear from you. We post all reviews, whether good, bad or somewhere in the middle. Questions on the Amsco Vista window - it's performance, how it stacks up to other windows, whether the quote you received is fair? Ask our site editors and get the answers you're looking for on this or any other vinyl window.